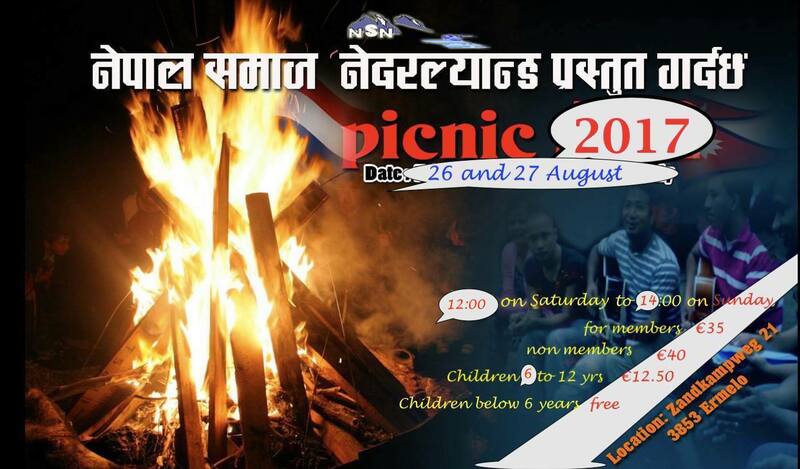 On behalf of the board of Nepal Samaj Nederland, we would like to invite you with your family and friends to the annual camping event “NSN PICNIC/Banbhoj 2017. Send us an email to nepalsamajnl@gmail.com with your names (and ages of children) and transfer the money to our account to be sure of your booking. Your reservation will be confirmed only upon the receipt of your payment. 20:00 – 00:00 uur Campfire with (live) music and dancing. We hope to see your at the Banbhoj.